North of Greece and Turkey, and around three hours by air from London or Paris, Bulgaria and its southern city Plovdiv offer an easily accessible trove of thriving culture, architectural heritage, and arguably the world’s tastiest yogurt. Every year since 1985, the European Union selects at least one European Capital of Culture. But if you didn’t make it to Aarhus (2017), Umea (2014), Turku (2011), or Essen (2010), don’t worry. Neither did I. 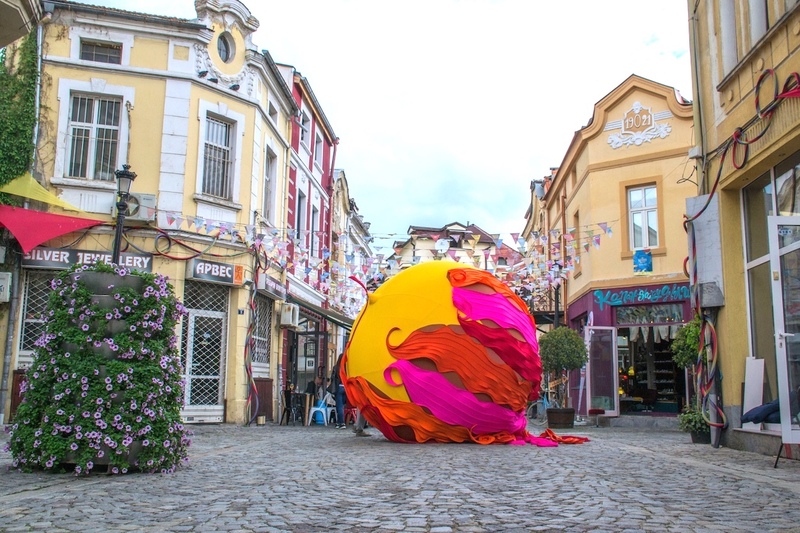 However, one of the two European cities to hold this year’s title, the 6,000-year-old city of Plovdiv really is a standout cultural gem in Bulgaria, an E.U. member since 2007. Five years ago, an investment banker friend of mine in London shipped his museum worthy collections of Ming dynasty pottery and Dale Chihuly glassworks to a little visited corner of his native Bulgaria. 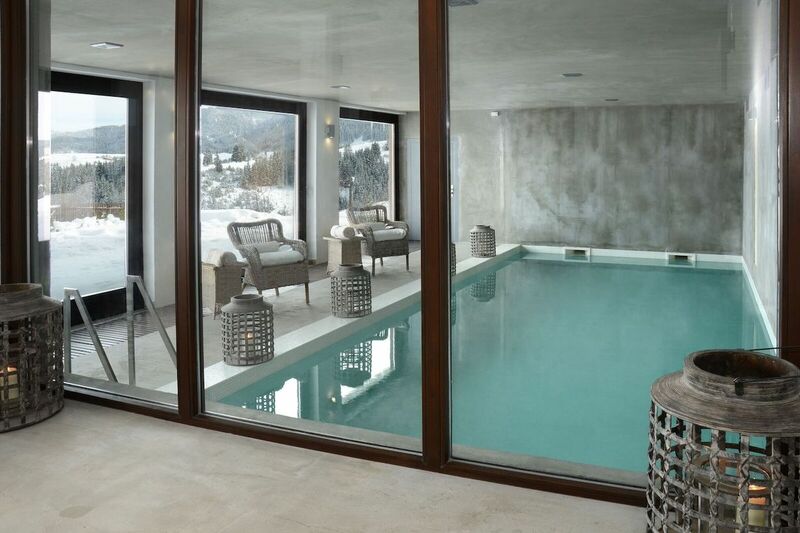 There, he launched Villa Gella, a multilevel refuge for rent, finished in blond wood and ashen limestone. His mission was singular: to raise his homeland’s prestige by luring skiers and nature enthusiasts to Bulgaria’s idyllic and culturally rich Rhodope Mountains. One of Villa Gella’s first guests, I arrived to crackling fireplaces and generously stuffed furniture covered in linen and aged leather, making my first impression of Bulgaria more Aman resort than Socialist paradise. The next morning, I woke up under layers of down feathers and cashmere in one of the villa’s six master suites. We breakfasted on homemade bread served with slices of plump, fire-engine-red Bulgarian tomatoes that are by far the best I have ever tasted. I ate Bulgarian yogurt so delicious I texted my Greek friend to gloat, only to learn I had stumbled into a generations-old, neighborly debate. Sated, we set off into the mist, past towering pine trees, sunken gorges and craggy outcroppings for Devil’s Throat. According to mythology best known as Greek, this 131-foot-high grotto is where the hero Orpheus descended towards Hades to rescue his beloved Eurydice. Over the next three days, we zigzagged deeper into this winter wonderland while my friend recounted history from the Bulgarian perspective. I learned that Thracian civilization developed here about 10 centuries before the Greeks invaded and “adopted” Bulgarian cultural history as their own. This includes Orpheus, whom my well-educated host claims is actually a Thracian prince, and Dionysus, the Greek god of wine, whom Bulgarians believe was born among these mountains. We tramped through the snow to admire a local icon painter at work inside a tiny hilltop church that reminded me of Matisse’s Chapelle du Rosaire, in southern France. We toured the fantastically striped 10th-century Rila Monastery, a UNESCO World Heritage site, then channeled our inner Raiders of the Lost Ark by crouching into the 4th-century, B.C., Thracian tombs of Kazanlak, Mezek, and Aleksandrovo. More than just an eye-opening history lesson, Bulgaria is also home to an ancient yet still nascent wine culture. This I discover at Terra Tangra in the Thracian lowlands near the border with Turkey where I imbibed sublime rosé and at Castra Rubra winery, its stark exterior walls clad entirely in local stone. It was en route back to the capital, Sofia, that I discovered this year’s European Capital of Culture. 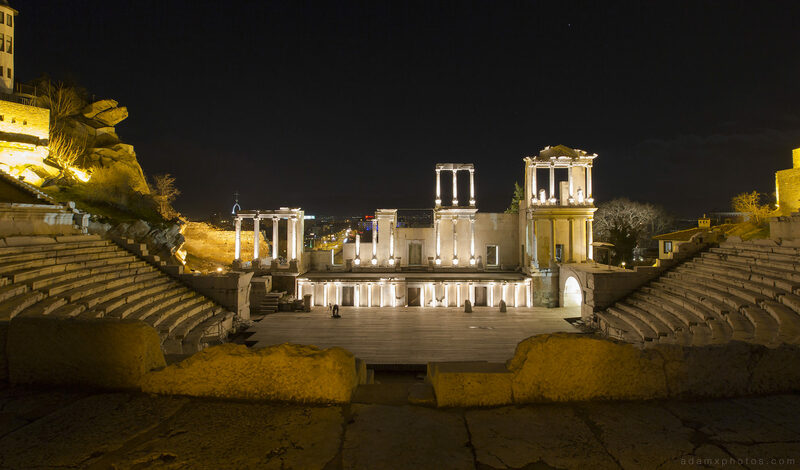 During a lazy walkabout on both sides of the Maritsa River we explored Plovdiv’s diverse landmarks like the Philippopolis amphitheater, which dates to Roman times and now hosts summer opera under the stars; the medieval city gates at Hisar Kapia; and the Ottoman-era Dzhumaya Mosque. Alone with no other visitors inside the faded yellow Neoclassical Zlatyu Boyadzhiev Gallery along the Old Town’s cobblestone streets, I developed an enduring affinity for the naïve portraits and pastoral landscapes imbued with social commentary on Bulgaria’s Communist period from 20th-century Bulgarian painter Zlatyu Boyadzhiev, even though I still cannot pronounce his name. 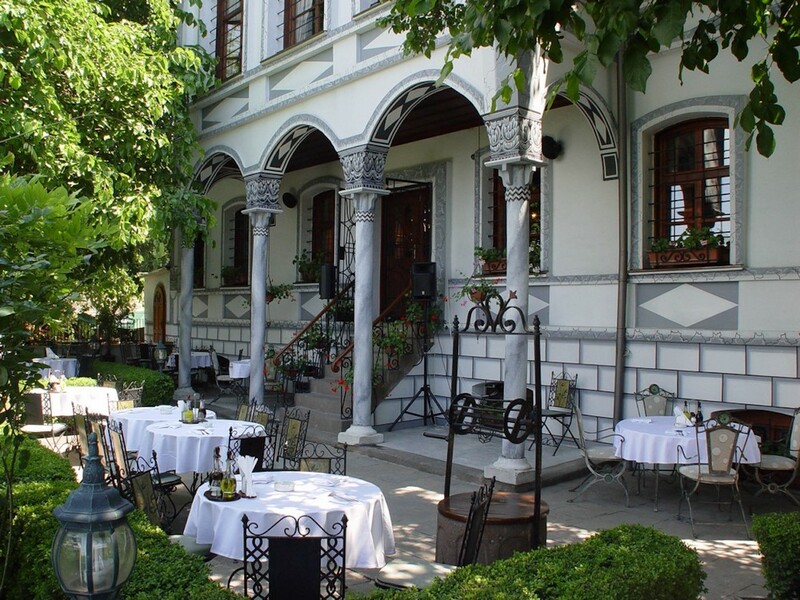 The Philippopolis Art Center’s collection includes contemporary and classical Bulgarian Revival works, but the biggest draw might just be its 1930s-inspired Viennese restaurant, with a garden perched on a Roman wall. So I cringed upon reading that more than 50,000 people gathered in Plovdiv’s central square earlier this month to kick off a yearlong schedule of some 500 cultural events ranging from performance art shows in the restored Roman amphitheater and tango operas to food festivals and exhibitions in the Kapana artistic quarter. Then I remembered the times we are living in, with calls for walls, Brexit, and far-right nationalist movements on the rise across multiple continents. Now really is the time to honor what may be the oldest continually inhabited city in Europe. Even today, Plovdiv boasts sizeable Turkish, Armenian, Greek, Jewish, and Roman communities. So I say: go, discover Bulgaria though I just might circumvent this charming little city until 2020, biding my time with some Terra Tangra Rosé 2012.